Which is better: Arlo Pro or Arlo Pro 2? Researching the differences is confusing—deciding which one to buy is even less clear. That’s because Arlo Pro 2 has a catch. Comparing Arlo Pro and Arlo Pro 2, you’ll quickly find that there are several upgrades in the Arlo Pro 2 that only work when the camera is plugged in. In this comparison, we will break down all of the Arlo Pro 2 features to help you decide if it’s worth upgrading. We’ve happily used Arlo Pro cameras to secure our own home for nearly two years, and now had the Arlo Pro 2 for a year. As you’ll see in this video review, we compared the footage side-by-side between both cameras. Find out more about the specific differences between each camera in our detailed review below. 1.4.1 What if I already own Arlo Pro? 1.5.1 Are Arlo cameras easy to install? 1.5.2 What other mounts and skins are available? 1.5.3 How do I arm/disarm my cameras? 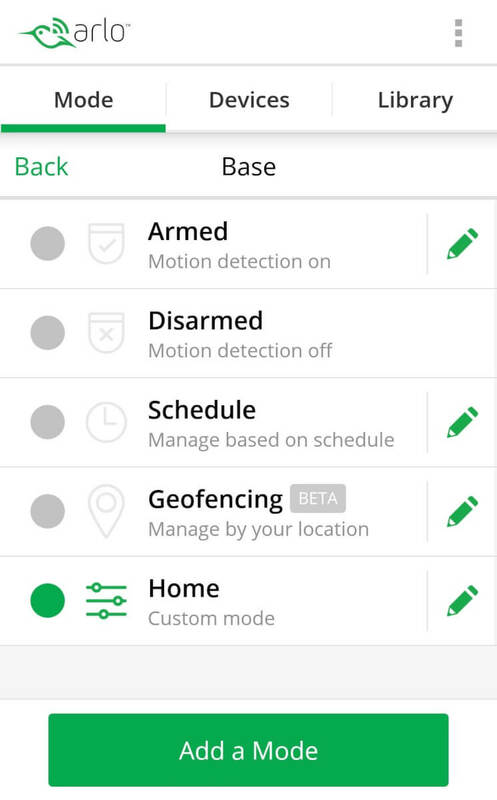 1.5.4 What other Arlo products are available to secure my home? 1.6 The Big Question: Is Arlo Pro 2 worth it? Affiliate Disclosure: This page contains affiliate links, which earn us commission at no cost to you. Disclaimer: The writers of this blog received a free sample of the product for review. They were not compensated in any other way. The opinions are 100% their own and not influenced. If you’re researching Arlo Pro or Arlo Pro 2, you probably want to find out what sets the cameras apart from each other. For quick reference, we created this infographic of differences between the cameras. Several of the Arlo Pro 2 upgrades require the camera to be plugged into power, as noted below. 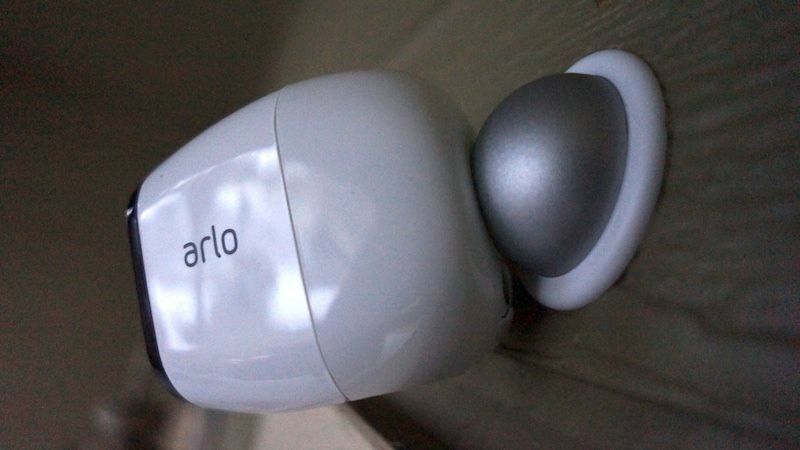 Arlo Pro 2 has impressive upgrades, but several of them require plugging into an outlet. Since Arlo recently released the updated outdoor power cord for Arlo Pro 2, these features are available either indoors or outdoors, as long as AC power is nearby to plug in your cameras. These additional features will not work while the camera is plugged into Arlo’s solar panels. Instead of recording only when there is motion, CVR keeps recording 24/7 for a timeline of constant footage. This provides peace of mind that you didn’t miss any footage. Seriously: your camera won’t miss a single second. For example, if someone runs on your porch, grabs a package, and runs away, every second of footage will be precious in detecting exactly who the perpetrator was. While Arlo Pro will only begin recording once it senses motion, Arlo Pro 2 with CVR is constantly recording, ensuring that you don’t miss any moment. CVR is an optional feature that costs $10 per month per camera, and it requires your camera to be plugged into AC power. This allows you to view the activity 3 seconds before a triggered event. Since the original Arlo Pro is triggered by motion, it’s easy to miss some footage: instead of capturing someone walking up to your door, Arlo starts recording when they are already at the door. The delay is solved with Arlo Pro 2’s 3-second look back feature, which uses a pre-buffer to record the few seconds before motion. In our testing, the 3-second look back made a big impact in triggering a recording sooner, which matters in the event of a break in (watch our video for an example). 3-second look back doesn’t require CVR or any extra fees. Just plug in your Arlo Pro 2 and it will already be enabled. As noted above, this feature doesn’t work on battery power. Specify which areas you want to monitor by drawing one or more motion zones in the settings of your camera. Other zones will not be monitored. This reduces false alarms for cars passing in the background or pets wandering through the frame. A lack of motion zones was one of the biggest complaints about the original Arlo Pro. So this is a big perk in the Arlo Pro 2, although it does require your camera to be plugged in to an outlet. We found this was a great improvement over the original Arlo Pro’s 720p quality, especially when identifying a person’s face. This is the biggest benefit of Arlo Pro 2 over Arlo Pro. The video was much clearer, and 1080p made a huge difference. Video quality is customizable; if you want to lower the quality to preserve battery life, you can. When we tested Arlo Pro and Pro 2 side-by-side, we found that the Arlo Pro 2 caught more footage on the sides of the screen due to its wider angle. The specs on their website say that both cameras have 130° viewing angles, but our footage showed that Arlo Pro 2 appeared more wide. 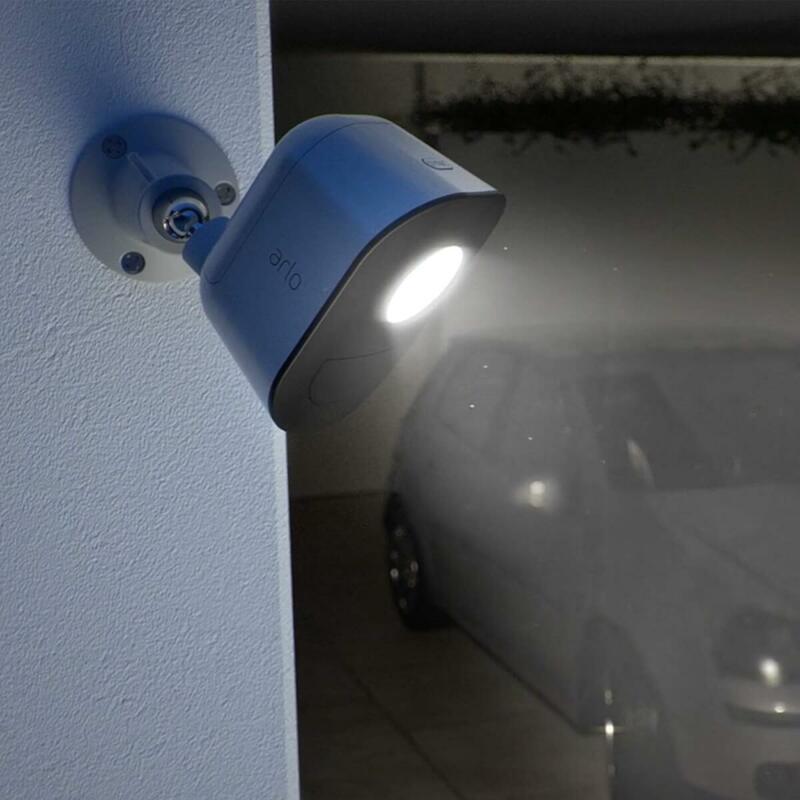 Arlo Pro 2 illuminates more fully at night than the Arlo Pro. Arlo Pro 2 battery life may be shorter due to its 1080p footage. Both Pro and Pro 2 cameras drained at the same rate when we tested them for our video and used them in the months since, but it’s worth noting that other users have found that Arlo Pro 2 runs out of battery more quickly. We tested the Arlo Pro batteries for months and found them to be reliable and long-lasting up to the promised 6 months. It’s likely that Arlo Pro 2 will last at least 6 months for many users depending on how you use them. Make sure the cameras are close to the base station for optimal battery life. For more details on Arlo Pro 2’s upgrades and how the cameras worked in our testing, check out our full Arlo Pro 2 review. Arlo Pro is on the left, and Arlo Pro 2 is on the right. If you can’t spot the difference, don’t worry – you’re not alone. The only visual difference is the small white ring around the front of the camera on Arlo Pro 2. 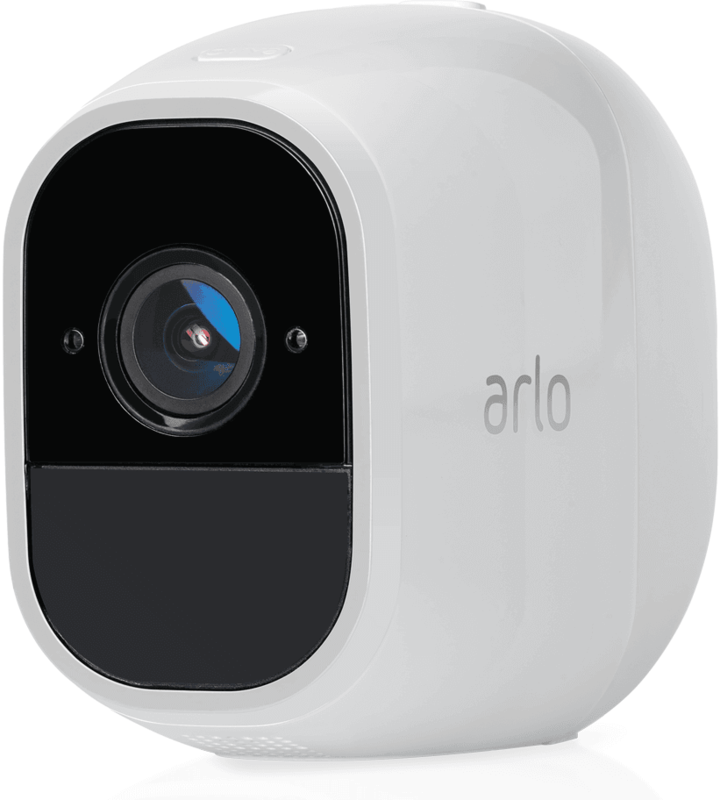 Both Arlo Pro and Arlo Pro 2 have some similar specs. Let’s go over some of the hardware and software similarities so you won’t have to wonder what they have in common. Same size, so they are compatible with the same Arlo Pro skins. 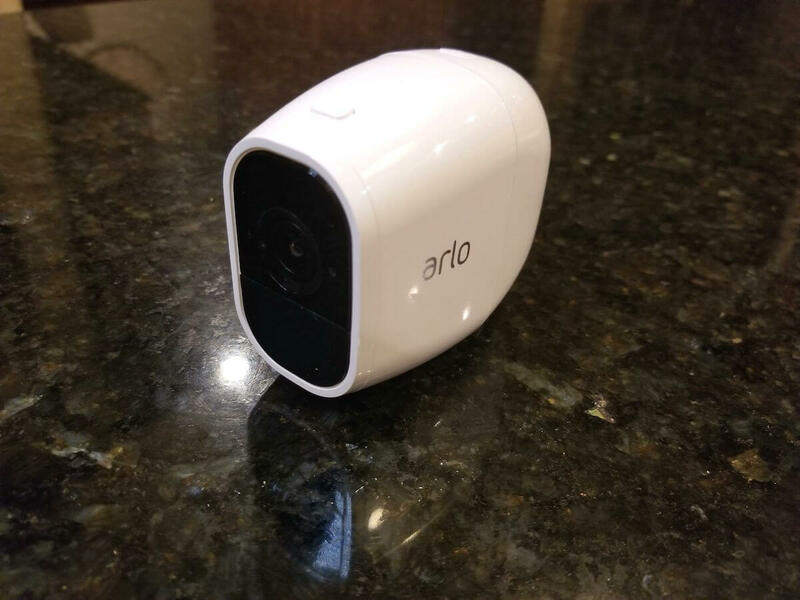 However, Arlo Pro 2 will stand out more since it has a small white ring around the front of the camera.I’m not sure why Arlo made this design change, but as you can see in our video and photos, it is definitely noticeable on the face of the camera. They are powered by the same rechargeable batteries. One battery and indoor power outlet are included. Solar panel compatible. These are sold separately, as are the outdoor power outlets. Weather resistant (IP65 certified). Both cameras operate between -4 and 113° F (-20° C to 45° C). 2-way audio, with a speaker and microphone. Night vision with infrared up to 25 feet that turns on automatically in low light. Works with new Arlo Pro base station, which has a security siren built in. This siren can be armed for whenever motion is seen on the cameras, or you can manually turn it on during an emergency. Also compatible with the old Arlo base station without the siren. Local USB backup storage in the base station. Both come with a mount for installation. Read about how we mount and hide our outdoor cameras. Same app. Both cameras work within the Arlo app, which is well-designed and easy for beginners. 7 days of free cloud storage recording. This is a rolling storage continuously available without any fees needed. Note that this is only available for your first five Arlo cameras. Notifications for sound and motion detection. These can come as push or email notifications. Live monitoring available using the Arlo app or through Arlo’s website on your browser. Scheduling and geofencing to automatically arm the camera when you leave. Compatible with the same smart home products, including Alexa, SmartThings, Wink, and IFTTT. With Alexa, you can have your Arlo security camera feeds display on your Echo Show or Fire TV. Arlo Pro 2 is an excellent option that improves an already great camera. When deciding between the Arlo Pro or Arlo Pro 2, your main consideration should be where will I install the cameras, and will they be plugged in? If you have an outlet nearby and plan on plugging in your security cameras, then you’ll be able to take advantage of CVR, 3 second look back, and motion zones. That makes Arlo Pro 2 worth it. Even with its extra cost, Arlo Pro 2 adds security and convenience, while reducing your false alarms. But if you want to take advantage of Arlo’s battery power to install your cameras completely wire-free, then the only major upgrade you’ll be able to use on Arlo Pro 2 is 1080p footage. None of the other additional features are available on battery power. 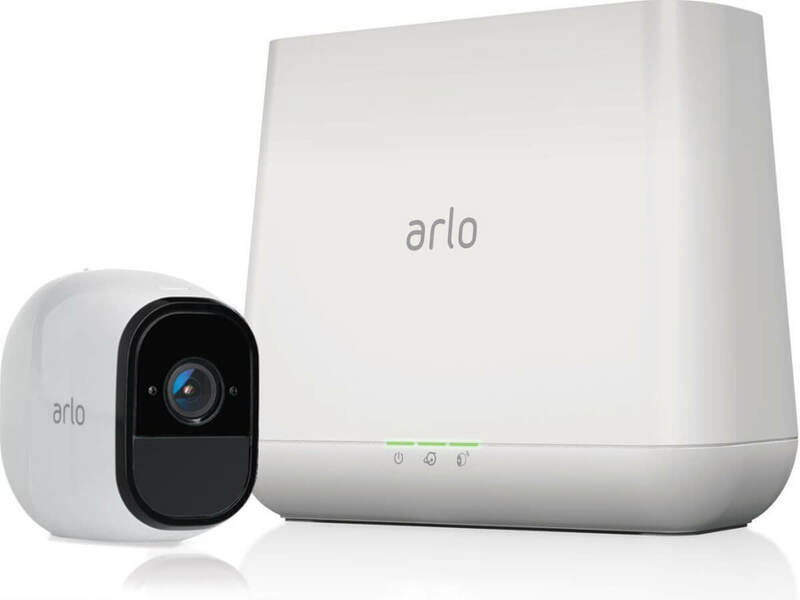 If my home security setup will have cameras that work on batteries without AC power, then I’d rather have the less expensive Arlo Pro, which still is high quality enough for monitoring my home. What if I already own Arlo Pro? If you already know the convenience of Arlo Pro cameras, you might be wondering if you should upgrade to Arlo Pro 2. Arlo Pro 2 is backwards compatible with both the first and second generation base stations that Arlo offers. 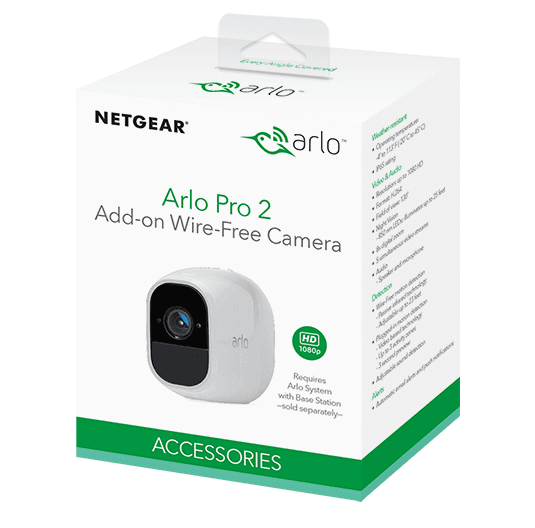 You can easily own Arlo Wire-Free, Arlo Pro, and Arlo Pro 2 cameras within the same system, making it easy to upgrade as you go without having to throw away your old cameras and base stations. 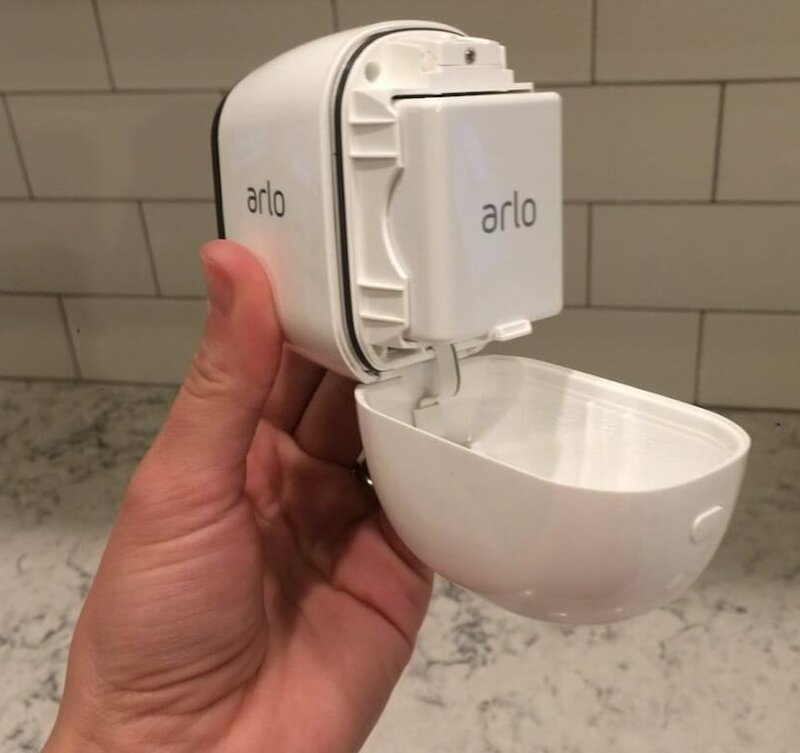 Shout out to Arlo for designing their system this way. Since the cameras and base stations all work together easily, if you’re just starting out and you are hesitant to spend the extra money on Arlo Pro 2, you can always buy the original Arlo Pro and then add-on an Arlo Pro 2 camera later. There are a few questions we hear consistently from people comparing Arlo Pro and Arlo Pro 2. Some of these are also asked by those who are just getting started with Arlo cameras. Are Arlo cameras easy to install? You don’t have to be a handyman or a technical genius to set up either of these cameras. After plugging in the cameras to charge them fully, you can simply place them in whatever area of your home you want to monitor. You may want to use the included wall mount, which requires one screw and has a magnet on the front for securing your camera. If your cameras will be plugged in, make sure you install them near a power outlet. After it’s installed, download the Arlo app and follow the instructions to connect your cameras. Installation and setup is very quick and painless. Just make sure your cameras are within 300 feet of the base station—spotty reception may mean that walls or obstructions are limiting the signal and the cameras need to be moved even closer than 300 feet. What other mounts and skins are available? Additional outdoor mounts may increase the security of your cameras because they screw in instead of sticking as magnets. Skins are also available to help these stark white cameras blend into any surroundings. The accessories are sold by Arlo, but there are also third-party options if you want a specific style or more affordable price. How do I arm/disarm my cameras? In the Arlo app, you can set up individual modes for quickly arming and disarming your cameras. The default modes are: Armed, Disarmed, and Scheduled. You can also set up custom modes, and we have one for when we are on vacation. To set up the modes, you simply edit which cameras you want to be armed, and what you want them to trigger. For example, if you want only your outdoor cameras to be armed while you are inside your home, then you can have your indoor cameras disarmed. You can trigger the outdoor cameras to send a notification or sound the siren. It doesn’t take long to set up the modes, and once they are established, you can easily arm and disarm your cameras using the Modes tab in your app. 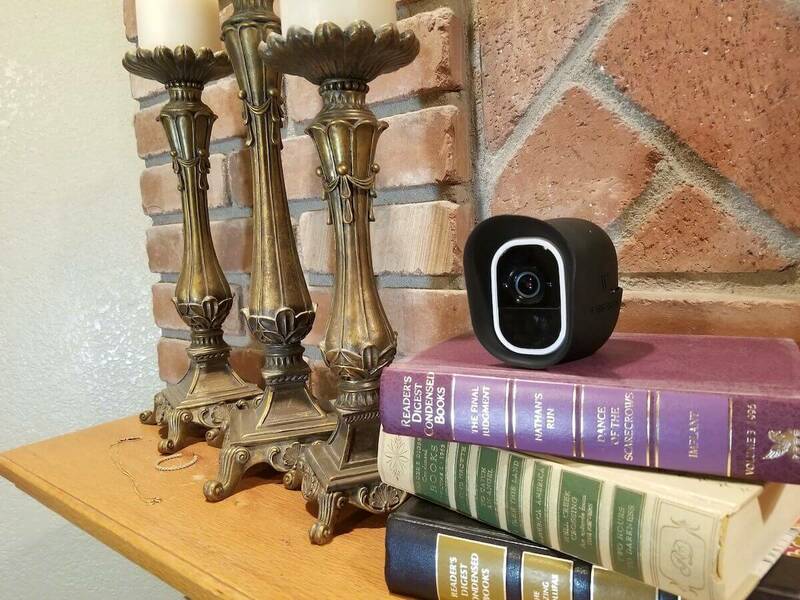 What other Arlo products are available to secure my home? Arlo recently announced their new Arlo Doorbell, which isn’t on sale yet, but will integrate with both Arlo Pro and Arlo Pro 2. When someone rings your doorbell, you’ll get a call on your phone and be able to answer that call using your installed Arlo cameras. Unfortunately, the doorbell does not have a built-in camera. Arlo Light is another compatible option. When it senses motion, Arlo Light can trigger your Arlo Pro or Arlo Pro 2 cameras to begin recording sooner, adding security so that you don’t miss footage when motion is first seen. 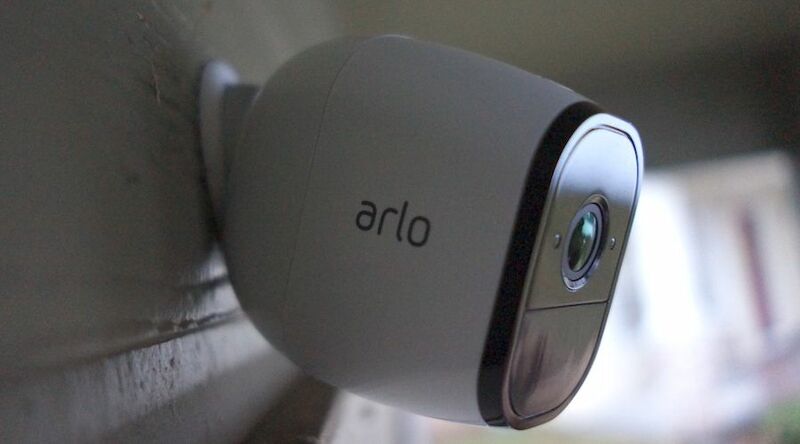 The Big Question: Is Arlo Pro 2 worth it? When we originally reviewed Arlo Pro, our only issues were the lack of motion zones and the slight delay in recording that can cause you to miss important footage. 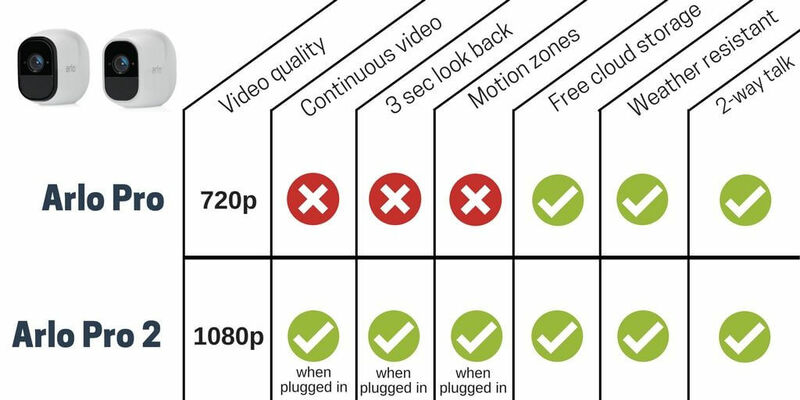 Arlo Pro 2’s enhanced features solve both of these issues by offering motion zones and CVR (if you are willing to pay a monthly fee and keep your camera plugged into power). 1080p footage. It will only help you identify intruders more easily and made a big impact on our footage quality during testing. As long as you’re planning on keeping your cameras plugged in, Arlo Pro 2 is definitely worth its slightly higher price compared to Arlo Pro. If using the cameras with battery power, then I’d go with Arlo Pro. Comparing prices of Arlo Pro and Arlo Pro 2, the Arlo Pro 2 will cost you a little more than the original. If you’re wanting the upgrades and improved footage, then the Arlo Pro 2 may be worth the extra money. Overall, Arlo did an excellent job responding to customer requests for CVR, motion zones, and 1080p by creating the advanced Arlo Pro 2. If you plan on keeping it plugged into power, then several additional features push it ahead of the Arlo Pro. Otherwise, Arlo Pro is a great battery-powered camera. 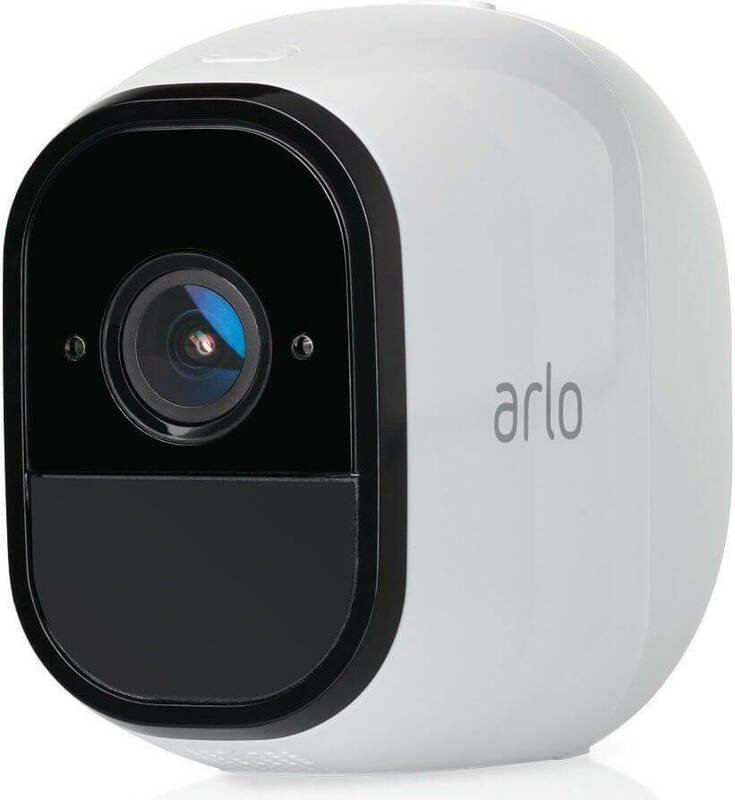 Which would you choose between Arlo Pro or Pro 2? Let us know in the comments below! 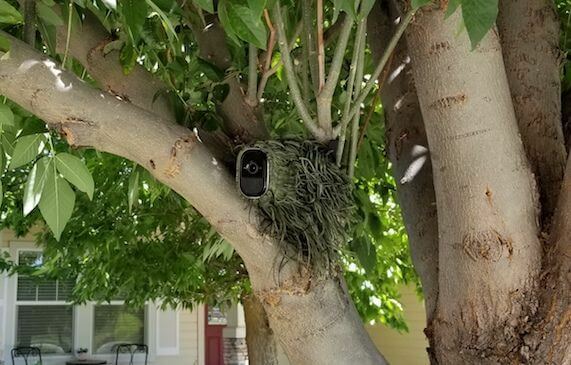 I have 3 Arlo Pro cameras and the siren worked great. After adding 2 “Arlo Pro 2” cameras to the base (5 total cameras) the siren volume is really low. I cant seem to get the 100 decimal volume anymore. Thoughts? Can you turn off the night vision on either of the models? I want to place them in a window and must turn off the night vision to do so. Thanks! Hi Brian, yes you can turn off the night vision on both the Arlo Pro and Arlo Pro2. If the Arlo Pro 2 camera is connected to the solar unit will that satisfy the need for AC connection and using 3-second lookback? Unfortunately plugged into the solar unit will only trickle charge the battery and won’t allow for the 3-second look back. What speed is required for the wireless internet, for 1, 2,3,4, or 5 cameras? It’s recommended to have at least 1 Mbps for upload. Usually not all cameras are recording at once but if they were, you would need a little more than 1 Mbps upload. What is the length of the cord, from plug to camera? Mike the cord is about 7 feet long.